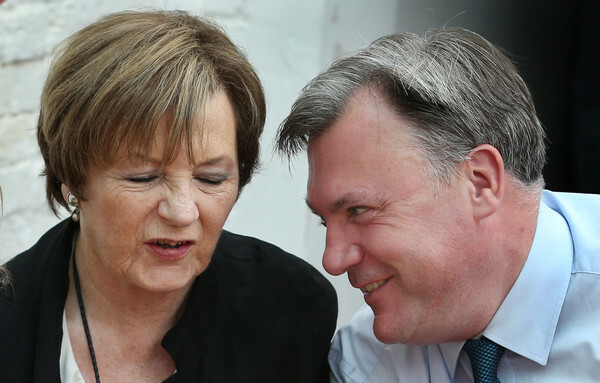 It has been revealed that Ed Balls and Delia Smith are both going to be contestants in I’m a Celebrity Get Me Out of Here! It is thought that they have done it for promotional reasons to boost the popularity of Norwich City Football Club. I’m a Celeb is televised globally and they are looking to attract more fans from across the world. This has been proven to work as the club gained some more international supports when Ed appeared on Strictly Come Dancing. The show was televised in China and watched by millions. Because of this NCFC gained two more supporters. They were Ho Lee Fuk from Beijing and Long Wang from Shenzhen. They both bought a replica shirt each which earned the club about £100. She’s got her ‘ed near his balls. Ed performing on Strictly Come Dancing. The fees they will receive for going on the show and any paid promotional work after will go into the club transfer budget in the winter transfer window. There are money bonuses for staying on the show, so the longer they stay in the jungle, the more the club will benefit. You can support the club by making either Ed or Delia King or Queen of the Jungle by casting as many votes as you can afford for the Canary couple. I’m going to pitch a tent down under! It is has been reported that Delia has only agreed to go on the show if she can watch every Norwich game. And if Norwich lose she is allowed to release her anger by punching an emu. Do you think this will actually benefit the club? Or could they be doing more important things here in Norwich.